Annual maintenance to equipment is critical to keeping the equipment in good working order. 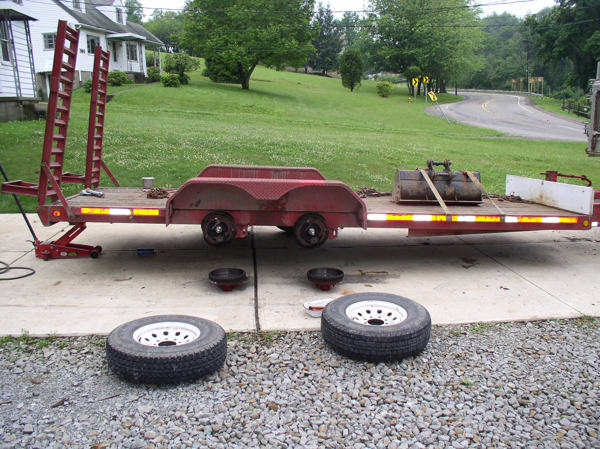 Disassembly, cleaning, and inspection of axles. 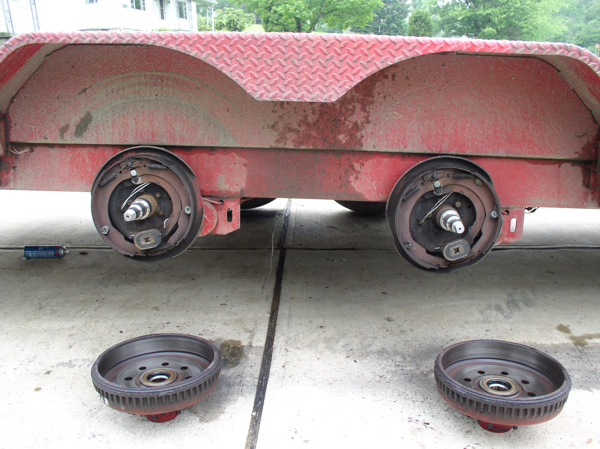 Axle bearing inspection and repacking. Electrical system operational checks and repair. Tongue jack inspection and lubrication. Lubrication of all pivot points. 12,000# gvwr trailer during axle inspection. Axle hubs, drums, and brake assemblies are cleaned and inspected. 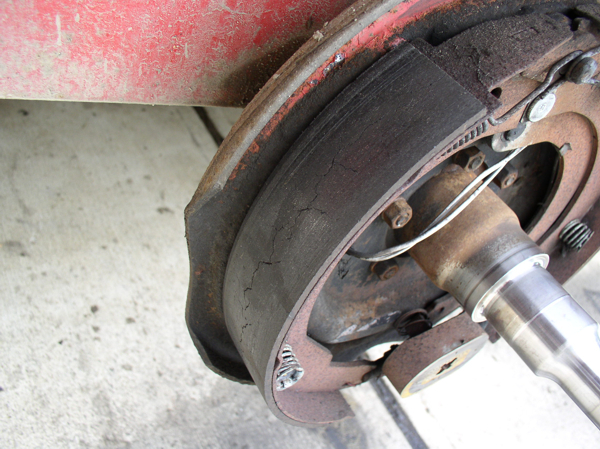 Brake shoe with commonly seen heat cracks.